Twelve-year-old King hasn't had an easy life. Abandoned by his former owner, King was living on the streets when he was hit by a car. 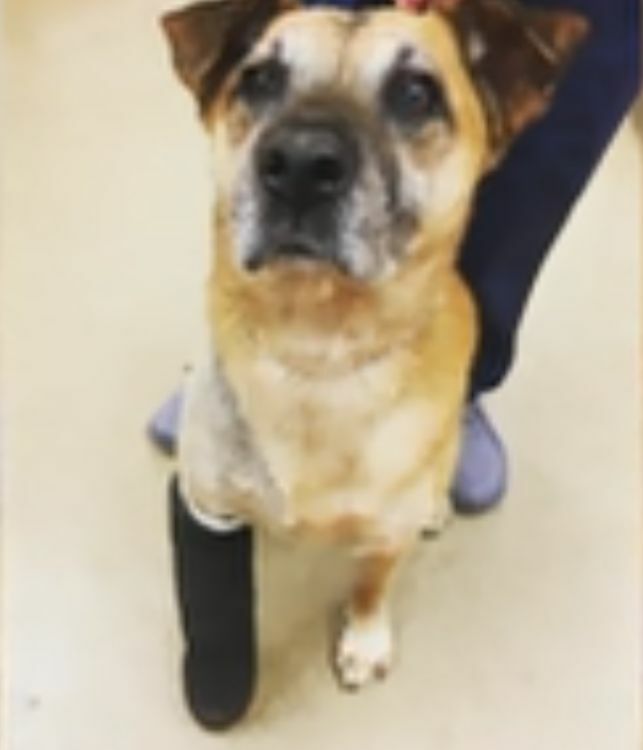 His injuries were so extensive that a veterinarian had to amputate one of his front legs. Rescue group Marley's Mutts took King in and worked to find him a home, but it was a challenge. Many potential adopters passed over him because of his age. Months passed without anyone applying to adopt King. Rocky Kanaka, host of the TV show "Dog's Day Out," heard about King's story and wanted to help out. 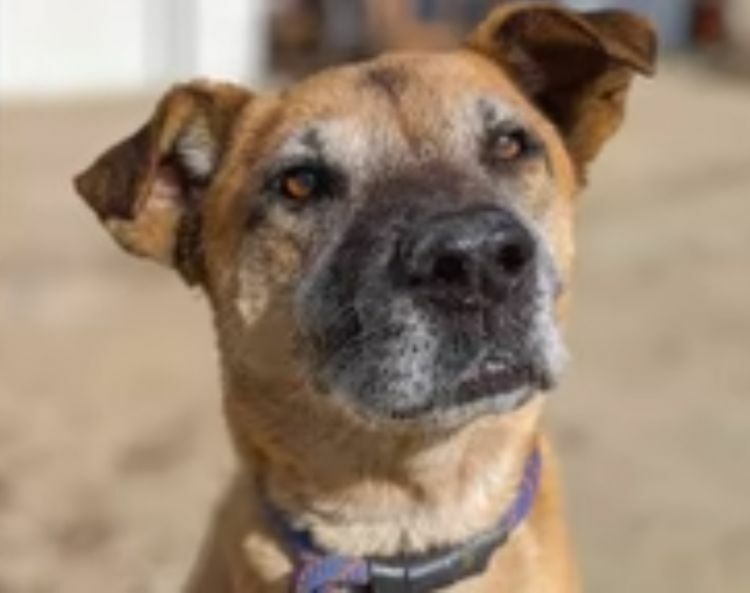 Through his show, Kanaka takes shelter dogs out for a day, giving them a fun experience while also spreading word about the fact that they need a home. The dogs have a wonderful time and often end up getting adopted after the show airs. Kanaka decided to give King the ultimate shopping spree. He took the dog to a pet store and bought everything that King touched. King explored toys, food and more, filling up the shopping cart as he went. Though King had probably never seen a toy before, Kanaka helped him and added one to the cart anyway. King definitely recognized the food and treat aisle, though. He sniffed out exactly which items he wanted, and Kanaka added everything to their cart. 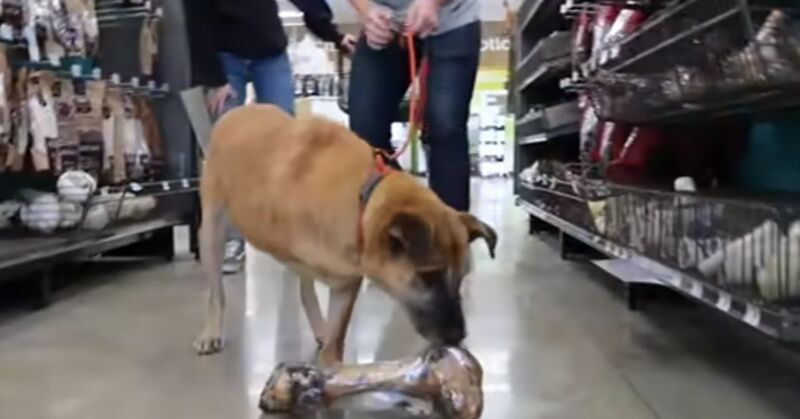 King continued through the store, adding in all sorts of items such as a giant bone and a tennis ball launcher. When he touched a cat tree, Kanaka diligently bought it for him. You have to stay true to your word, of course. King got tons of new presents and clearly had a great time at the pet store. The best present he got from the experience, however, came a few days later, when he was adopted. Now King has a forever home and loads of toys and treats to enjoy. 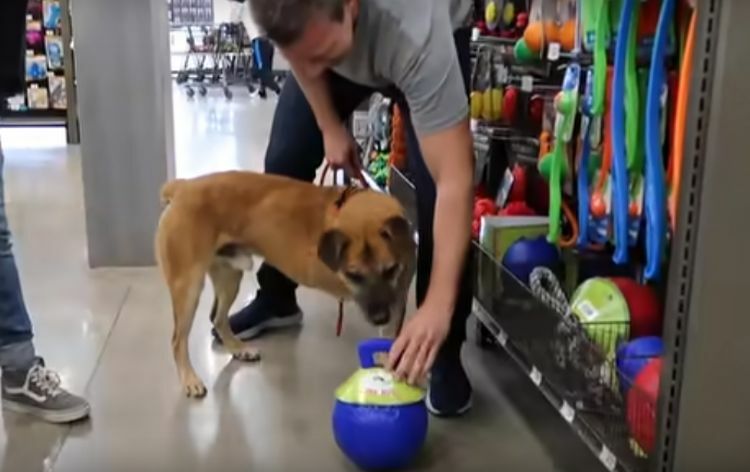 To celebrate King's new home, Kanaka took him out for a second shopping spree. 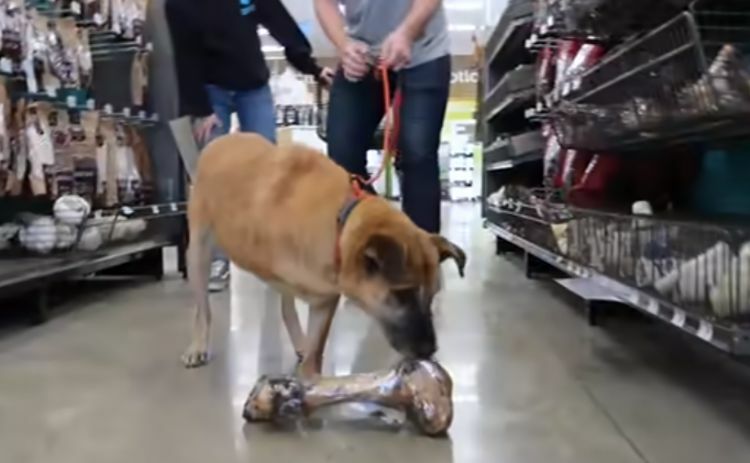 King once again picked out more toys and treats, and Kanaka met King's new mom, a truck driver, at the end of the video. King seems thrilled about his new life and is so happy to go home with someone who will love him and spoil him — maybe even with more shopping sprees.